Contact the Bank of Scotland on their customer service phone number 0345 721 3141 to apply for a new current account, to add another accountholder to form a joint account and to manage your existing overdraft limit. Customers can also phone this helpline to update their personal details so if you have recently moved home you should dial this number to inform their customer care team so that you can continue receiving your bank statements. If you would like to close your Bank of Scotland current account you can call this helpline to speak to the relevant cancellation advisors, however please note you will need to pay off any outstanding debts on your overdraft beforehand. 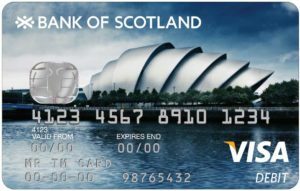 Calls to the Bank of Scotland customer care contact number 0345 721 3141 are charged at standard UK local rates which also apply to 01 and 02 area code phone numbers, therefore you can even contact them for free if you have inclusive minutes remaining on your tariff. Otherwise you will pay a variable per-minute rate to your provider as well as an access charge which may be higher for mobiles compared to landlines. This helpline is manned from 8am-8pm Monday-Friday, 8am-6pm Saturday and 9am-5pm Sunday however an automated service for existing customers is operated outside of these hours where you can check your balance and perform a transfer. The Bank of Scotland can be contacted from outside the UK by phoning their international helpline number +44131 337 4218 where you can discuss your current account, credit card and savings funds. For example if you have been hit by an unexpected charge on your bank statement whilst on holiday you can phone their overseas support team to check if your funds have been fraudulently accessed. However please be aware that calls from abroad may cost significantly more than the equivalent UK call and that international rates are generally higher from mobiles compared to landline handsets. Phone the Bank of Scotland online helpdesk by calling their technical support phone number 0345 602 0000 for help when accessing your internet banking account. For instance you should call this number if you have forgotten either your username or your password so that these details can be reset to something more memorable. Furthermore if you are having difficulties when checking your online statements, setting up a new standing order or payment you can call their friendly staff for troubleshooting assistance. Contact the savings department at the Bank of Scotland by calling their dedicated phone number 0345 602 0304 to check the interest rates which apply to each of their financial products, to open a new cash ISA and for information related to specific funds for your child. You should also phone this helpline prior to opening a new account to confirm whether there are restrictions on when you can withdraw money from your account as well as how many ISA funds you are permitted to hold at any one time. They also offer a range of special funds for first time home-buyers as well as junior bond products for adolescents thus consider calling the Bank of Scotland for further details. Phone Bank of Scotland credit card advisors by calling their customer service contact number 0345 964 5645 where you can apply for a new card, increase your credit limit and close your account once you have paid off your debts. Please be aware that your eligibility for their credit cards will be affected by your credit rating so take note of this to avoid rejection from more risky credit options. You can also phone this helpline for details on how you can make a balance transfer between credit funds enabling you to restructure your debts. Furthermore Bank of Scotland recommend contacting them on this helpline if you need to add or remove a cardholder connected to your account, similarly if you change address please inform them via this telephone service. Call the Bank of Scotland for free on their 24-hour freephone contact number 0800 0 288 335 to notify them that your bank card has been lost or stolen. This emergency service is for both credit and debit cards so please call them as soon as you suspect your card is missing so they can block it, this prevents criminals from using it to fraudulently access your account. They will subsequently send a replacement card to your registered home address as well as provide you with information on how to withdraw money from your local branch without your physical card. As stated this helpline is open 24 hours a day, seven days a week so feel free to contact them regardless of the time. Phone the Bank of Scotland on their mortgage support contact number 0345 850 0842 for an application appointment, to confirm their annual interest rates and for details about their first-time buyer schemes. Existing customers can also phone this helpline to pay off their mortgage early or to request an extension on your payment deadline. Please be aware that your home may be repossessed if you fail to keep up with your monthly repayments so ensure that you select a product with appropriate interest rates for your financial needs. Finally existing homeowners can contact the Bank of Scotland on this number to remortgage their property to release capital. Phone the Bank of Scotland to apply for a personal loan by calling their national contact number 0345 600 4611 where you can also check their annual APR interest rates and find out how much you can borrow depending on your previous credit history. You should call this helpline immediately to request an in-branch appointment if you are struggling to make the repayments on your loan as property such as your home or car may be seized if you default on your agreement. The full list of contact numbers for Bank of Scotland loan customers is provided below, please check your agreement to identify the correct number for you to phone. 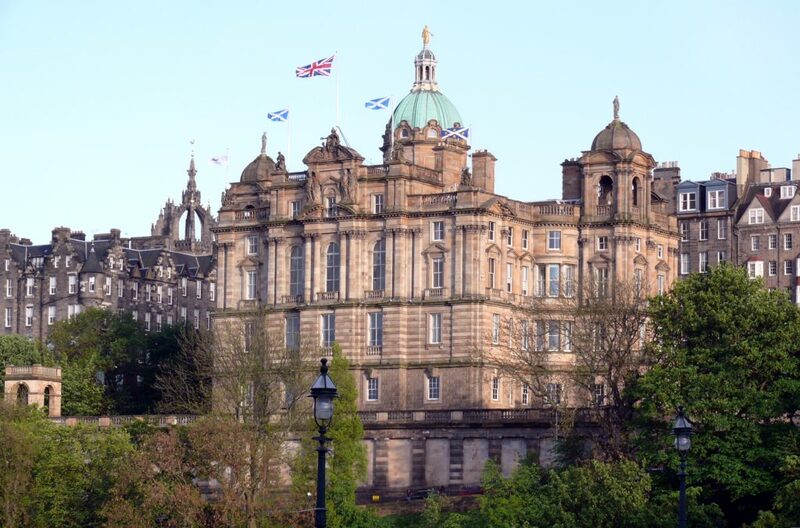 The Bank of Scotland can be phoned on their UK contact number 0345 723 3343 if you need to discuss your home insurance policy, where you can get a new quote and renew an existing policy. You can also call this helpline to add valuable possessions to your policy such as jewellery and artwork. Furthermore you should call this number if you are moving home so that they can cancel your existing agreement and set up a policy at your new address. In the unfortunate event that your home has been affected by an emergency such as fire, theft or flooding you may call the appropriate phone number from the table below to make a claim on your insurance policy. Call the Bank of Scotland via their car insurance freephone number 0800 072 8962 for free to contact an advisor about a motor policy claim, for renewals and to notify them that you have sold your vehicle. You can also call this helpline to add optional extras to your policy such as breakdown cover, windscreen repair protection and accident recovery. Moreover if you subscribe to their Keycare package you can call this number to replace your keys if you lose them. Phone the Bank of Scotland for free by dialling their freephone contact number 0800 849 6089 to enquire about your life insurance policy. For instance you can increase or decrease the lump sum available to your loved ones after your death by changing your monthly premiums accordingly. You can also call this helpline to reach a specially-trained bereavement advisor in the case that a policyholder has sadly passed away. Please be aware that the Bank of Scotland no longer offers new life insurance policies however existing customers can still discuss their policy by calling the customer service phone number from the table below. Phone the Bank of Scotland by calling their car finance contact number 0333 202 7968 to get a new funding agreement for your vehicle, to track an existing application and to modify your monthly repayments. Your car may be seized by the bank if you do not keep up with the payments stipulated in your agreement so please notify them as soon as possible if you run into financial difficulties. Phone the Bank of Scotland to manage your investment portfolio by calling their dedicated contact number 0345 835 7375 where you can input more money into your funds, make withdrawals, check your current pension pot and change which shares you invest in. Note that this is the telephone number for investment packages bought in your local branch thus if you have an online investment account please call the appropriate phone number from the table below. Contact the Bank of Scotland on their travel money phone number 0345 602 0000 where you can find their best currency exchange rates, enquire about their range of travel cards and find out what currency is accepted in a specific foreign country. You can also call this helpline for details on whether they will buy back any unused bank notes once you have returned from your holiday. Alternatively if you do not have an existing order you can buy travel money over the phone by calling the Bank of Scotland on their currency purchase phone number 0345 304 0029. The Bank of Scotland can be contacted in numerous ways other than their telephone helplines, for instance you can send them letters, emails and online messages to report your concerns and to get feedback from UK-based customer service advisors. Customers can write directly to the Bank of Scotland by using their Edinburgh head office address which is provided below for your convenience, please note that this address no longer accepts cheque payments and you should not include any sensitive information relating to your account which could be used by fraudsters to access your funds. You can email the Bank of Scotland by visiting their “contact us” website and following the appropriate link for your customer service enquiry. Moreover you can use this website to access your internet banking platform, for live online web-chat services and to find your nearest branch. The Bank of Scotland has embraced the modern phenomenon of using social media profiles as a way to promote their financial products as a useful advertising channel, in return customers can write public messages on these profiles so that their customer service enquiries can be resolved publicly.